A large menu and house chianti served in colossal water glasses are among the reasons this casual eat-in restaurant (which also offers family-style to go meals that serve eight-to-ten people) now has locations in nearly every major American city, St. Louis among them. 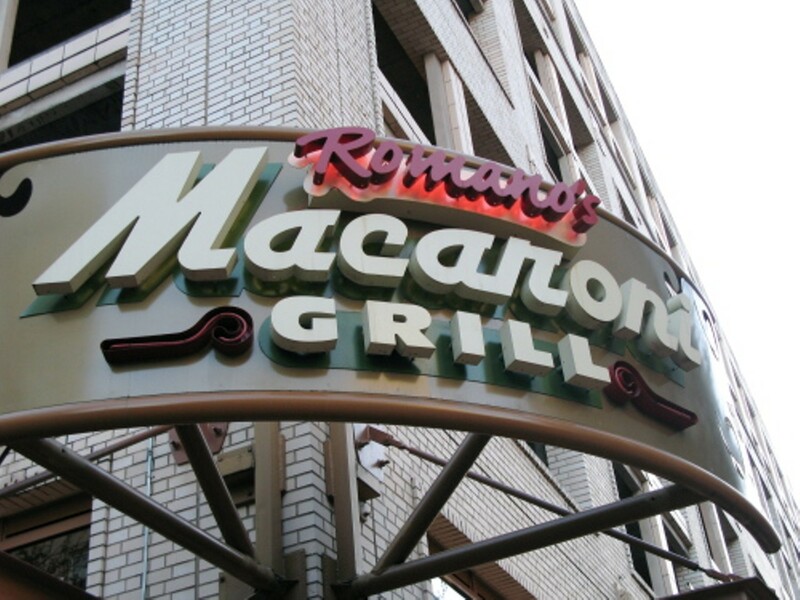 Macaroni Grill bakes its own bread, and offers signature dishes such as the Calamari Fritti appetizer and Shrimp and Artichoke Dip. Traditional marinara is served with most of the macaroni dishes, but substitutes are welcomed. The Dallas-based chain is a mere babe in the world of chain restaurants, boasting about "twenty years of tradition," but it has attracted followers in part because of the "honor system" approach to the free-flowing wine. Find Romano's Macaroni Grill on Voice Places.